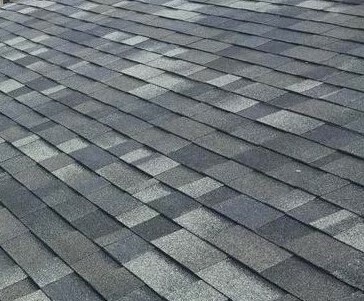 We install: Laminated Architectural Shingles, Composite Shingles, Metal Shingles, Low Slope Roofing, Cedar Shingles & Shakes. Because they’re affordable and durable, Laminated Architectural Shingles are the most popular choice for a roof replacement. 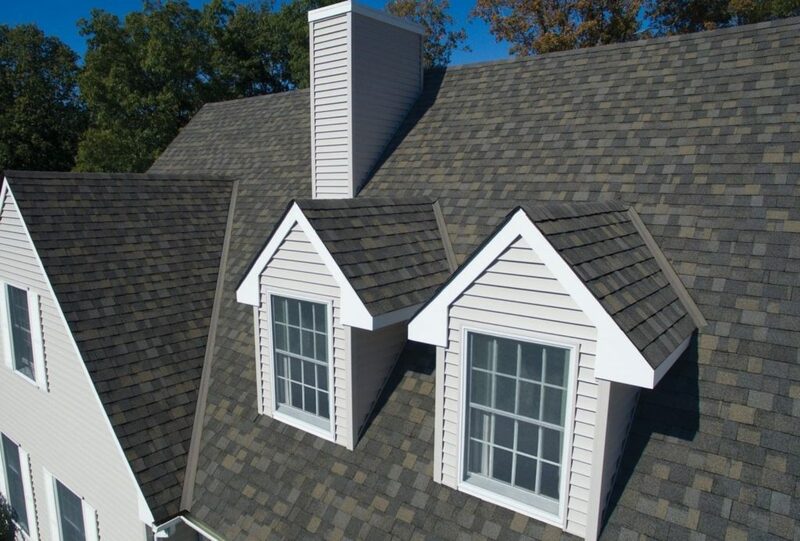 Laminated Architectural Shingles start off with a woven fiberglass base for strength and stability. Then, they are encased in asphalt for moisture resistence, durability and plyability. Lastly, they are topped with specially treated colored stone granules – providing protection against the sun. 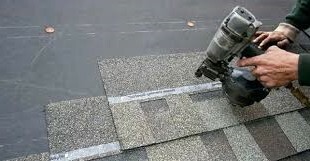 They are called laminated shingles because one piece is literally laminated (glued) on top of another. As such, they have a defined layered-up appearance which is quite attractive. 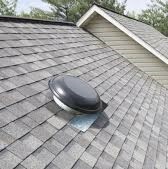 These asphalt based shingles are well suited for the hot and cold weather fluctuations of the mid-west. Depending on the grade and quality, they are rated to last anywhere from 30 to 40 years. Even better, premium grade shingles can last up to 50 years. 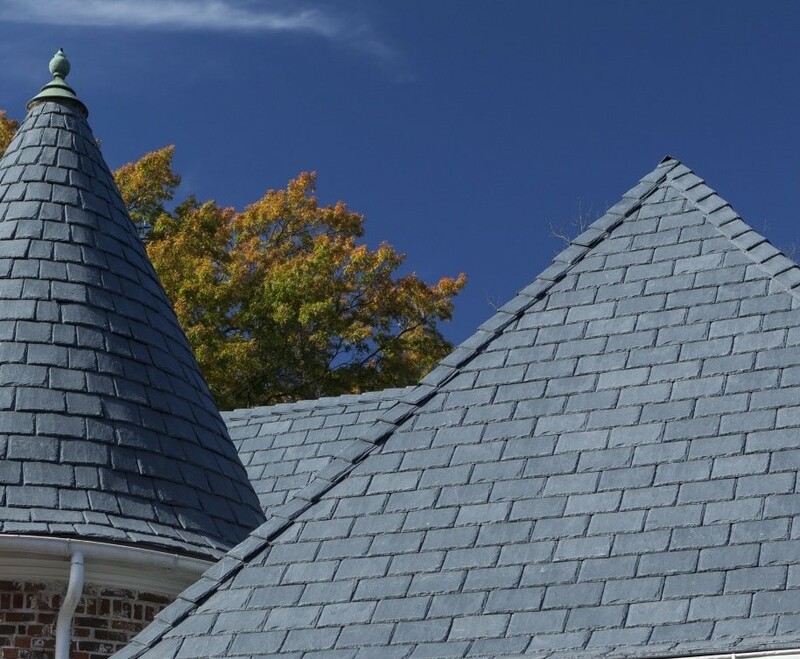 Composite Roof Shingles offer an excellent alternative to traditional wood and slate shingles. Because of their realistic appearance, durability, and maintenance free benefits – they have become quite popular. Made from high grade polymer resins, they are engineered to withstand the harshest of elements. Composite Shingles are in the same price range as traditional wood shakes and shingles. However, that initial investment will pay for itself down the road. Because they will not deteriorate like traditional wood roofs. Also, there is no cost of regular maintenetance. ABC Roofing & Siding installs DaVinci roofing products. 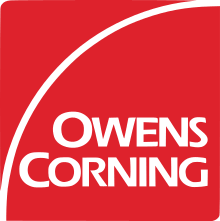 They are the premier manufacturer of composite shingles and accessories. Plus, with an array of styles and textures – they are stunningly beautiful. Contact us for more information and free consultation. Metal Roof Shingles offer a good alternative for a wide range of both residential and commercial applications. There are many options to choose from. Whether it’s the traditional look of slate, lustrous look of tile, or dramatic look of wood. 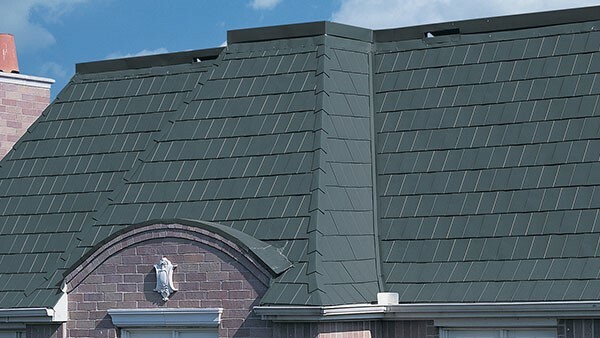 ABC Roofing & Siding installs MetalWorks steel shingles from Tamko Building Products. 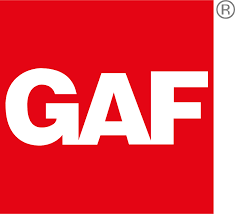 With realistic shapes and patterns, they set the industry standard with G-90 Construction. Also, there is a full array of styles and colors available. As such, they are all ENERGY STAR® qualified. Contact us for more information and a free consultation. Then, we’ll go over all the different options with you. Low slope and flat roofs are common to commercial buildings, and less common for residences. Actually, the term “flat roof” is a little misleading. 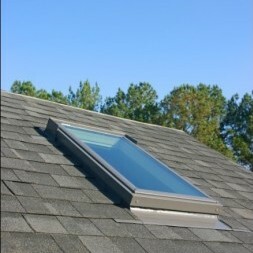 In fact, all roofs are built with even a minimal slope for drainage. It’s just that some roofs appear to look flat. Low slope roofs can present some unique challenges. It depends on existing conditions above and below the surface. As such, they require a high level of expertise to perform a good installation. 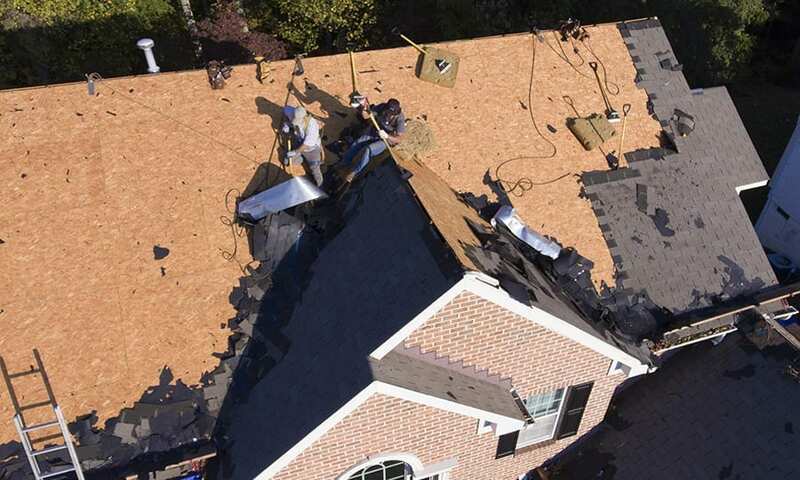 Typically, we replace low slope roofing as part of a larger shingle replacement job. 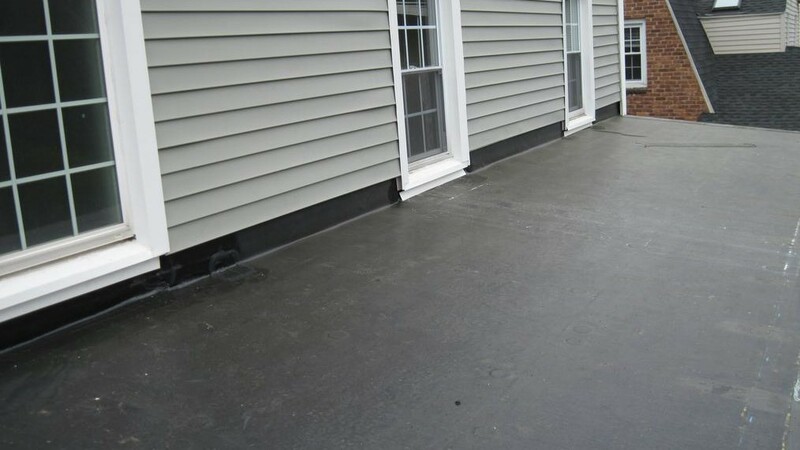 ABC Roofing & Siding installs two different kinds of low slope roofing material. EPDM Rubber Membrane, and Self Adhering Roll Roofing. EPDM (ethylene propylene diene terpolymer) is an extremely durable synthetic rubber roofing membrane. In fact, it has proven to be a very effective product for most roofs. 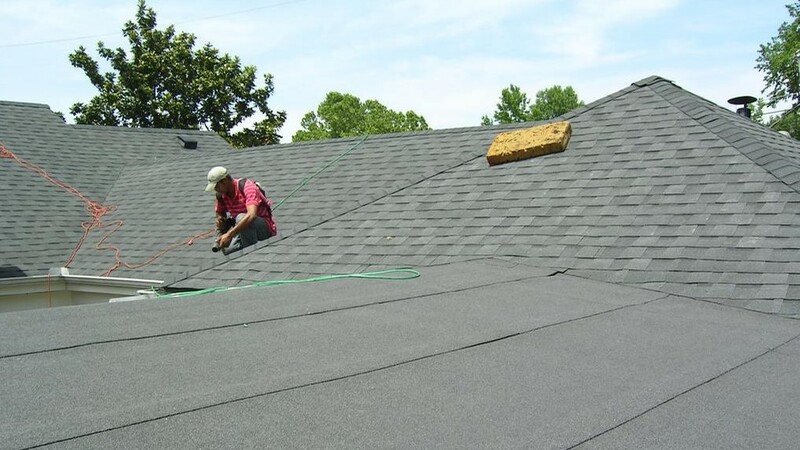 As a result, it is the preferred method of low-slope roof covering. It may cost more – but it’s worth it. A less expensive alternative is Self Adhering Roll Roofing – also known as Peel & Stick. It is perfect for smaller roofs with a decent pitch to it. For example, a typical shed style roof over a porch or dormer. A very traditional roofing material, Cedar wood offers a beautiful natural appearance to a roof. Cedar Shakes are machine split and have a textured or iregular appearance. On the other hand, Cedar Shingles are machine cut and offer a more uniformed appearance. 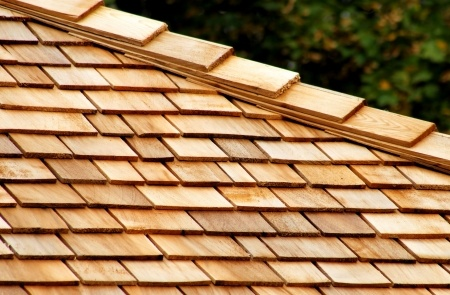 The advantages of cedar roofing are its good looks, longevity, and durability to the weather. Also, they have greater insulating value than most other types of roofing. Disadvantages of Cedar are its cost of installation and cost of regular maintenance. There are several options in grade and quality available. Contact us for more information. We’ll go over all of the different options with you. Perform initial review, and measure roof for new materials. Also, confirm special attention areas. Apply for and obtain required permit from the local Building Department. Order materials. Then, arrange for delivery to the job site. Prepare the job site for work. Use tarps and take steps to protect landscaping and personal property. Tear-off and remove all of the old roofing material. Place debris in the dump trailer or truck. Clean and prepare wood decking to receive new materials. Re-secure decking as necessary. If needed, we will replace up to 3 sheets of plywood for free. 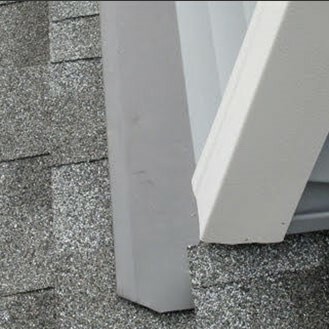 Install new ice/water shield at eave edges and valleys. Then, install felt underlayment at remaining areas. Fit new drip edge flashing at eave and rake edges. 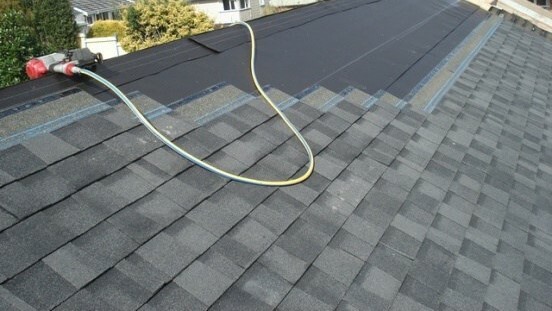 Lay new starter shingles at same loactions. Install new roof shingles – as chosen by customer. 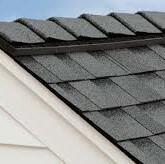 And, install matching cap shingles at ridge lines. 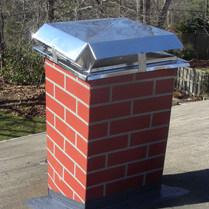 At plumbing vent pipes, install long lasting heavy duty lead flashings. Re-set step flashing and L-flashing at wall transitions. As needed, new flashing is installed. 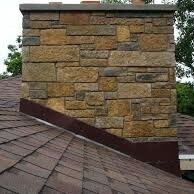 If applicable, install new step and counter flashing at chimney(s). Also, re-set sktlight flashing. Install new roof ventilation. Replace existing box vents, continuous ridge vents, power vents, etc. Continuously pick up debris during the work process. Place debris in the dump trailer or truck. Sweep and blow off debris and cut-offs from the new roofing. Remove any debris from gutters. Magnetically sweep the work perimeter multiple times for left over nails. Upon completion, haul away all debris and deliver to the landfill facility. Handle Building Department permit and inspection requirements. Usually, every town is a little different. In the end, perform our own final inspection. We make sure of proper installation and clean up.